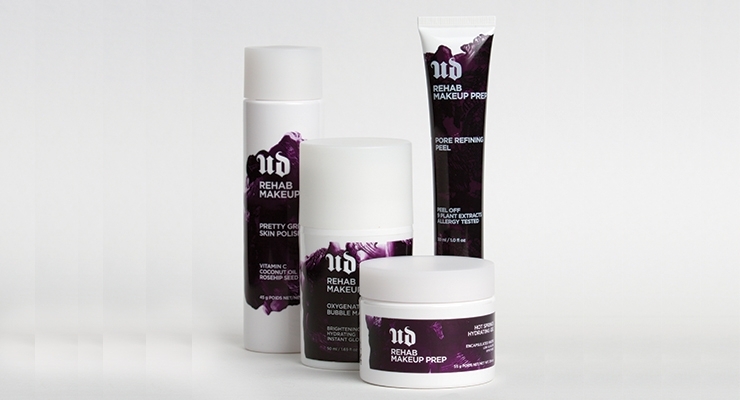 The packaging for Urban Decay’s Rehab Makeup Prep line was turned around by Compax in less than 16 weeks, and features a creative use of stock packaging and unifying decoration. 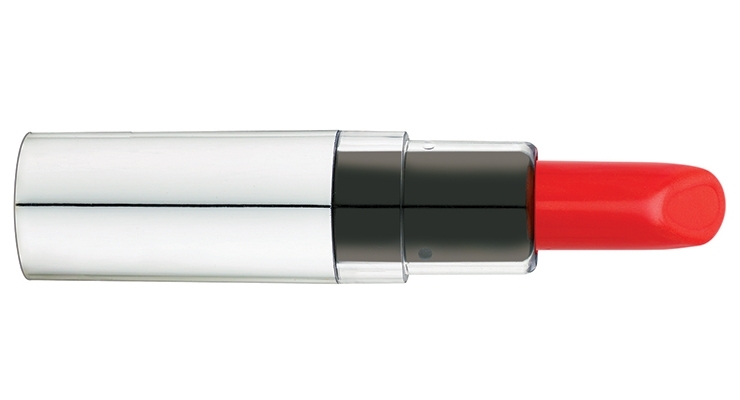 Lady Burd’s Silver Color View Lip Component holds 4g of lip color and its ABS/POM/AS construction gives consumers a sneak peek of the color shade through the closed tube. Botanic Tree turned to East Hill for these packages, which feature a luxurious look that’s environmentally-sensitive. 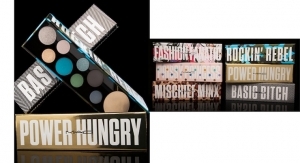 HCT Group executed these fun MAC Personality Palettes, a multiple collection of palettes with eight complementary shades of eyeshadows and one highlighter. 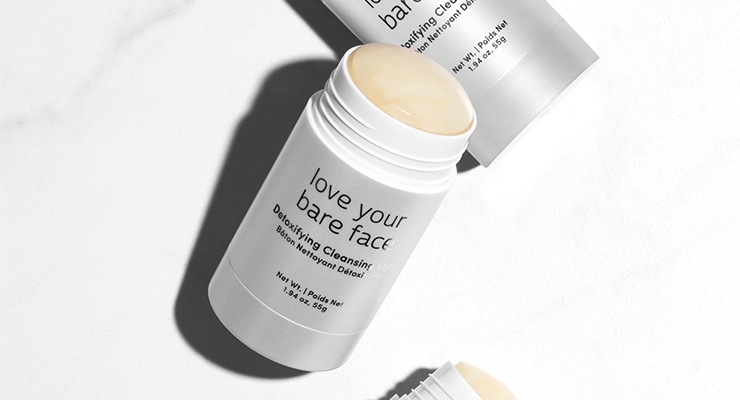 Cosmopak quickly produced this convenient, pearlescent wind-up package for Julep’s Love Your Bare Face detoxifying cleansing stick (photo courtesy of Julep). 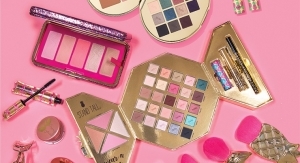 For existing and emerging brands alike, speedy transitions from product ideation to retail roll-out are vital in gaining a strong foothold in the competitive beauty segment. Partnering with a provider that’s well-versed in smoothing out the details of each step in the creation of a product—from formula fine-tuning to packaging conceptualization and fulfillment—can help streamline a brand’s road to retail. Clémentine Barbet, communications manager, Albéa, Gennevilliers, France, says the heightened focus on speed to market is correlated to the insurgence of Indie brands, and the ripple effect is also impacting legacy brands, who are increasingly seeking ready-to-go packaging and turnkey solutions, not just to improve their speed-to-market, but also to add value to their ranges with special collections and limited editions. 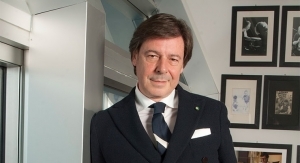 To help its customers speed up their launches and product replenishments, Albéa’s at-the-ready packaging components and sets, and turnkey services include a handful of packaging ranges, procedures and equipment aimed to reduce a brand’s time to market. 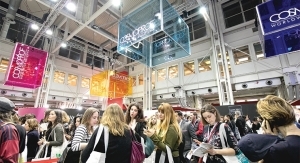 For example, for mascara and lip gloss caps, the company offers My Flash, a modular mold technology that quickly and easily allows large batch personalization and packaging adaptions at a competitive cost. Another Albéa service Mix&Match, is a user-friendly, web-based packaging configurator that facilitates virtual creations and 3D views of custom-made packaging solutions from Albéa’s standard packaging offerings. 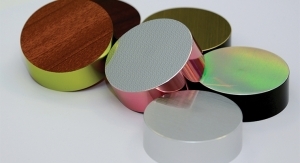 Chris James, vice president of sales at East Hill Industries, Carrollton, TX, says one of the best ways to satisfy a packaging project that requires a speedy turnaround is through the use of modular in-stock packaging. East Hill, now the exclusive distributor for the Quadpack Q-Line range of products, offers a range of tubes, jars, bottles and pumps in different shapes, sizes and formats, with a variety of complementary options for caps, collars and pumps, to give brands a good choice for mixing and matching. 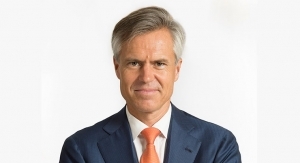 For suppliers, running a tight ship is key to helping brands optimize their turnaround speed. 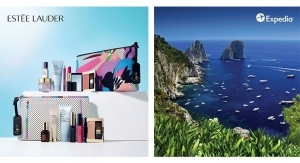 “The beauty of stock options is that so long as the quality is maintained, the options are endless for creating a memorable product,” says Anna Lombardi, director of marketing, Lombardi Design and Manufacturing, Freeport, NY, a full-service provider of a variety of stock packaging and decorating service options. 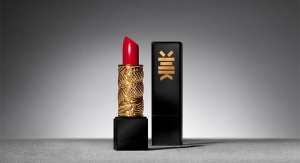 For 50 years, Lady Burd Cosmetics, Farmingdale, NY, has offered turnkey and speed-to-market services that span not only in-stock packaging, labeling, and if time permits, custom screen printing and hot stamping, but also product formulating as well. The company has an in-house chemist as well as a regulatory department on the premises to help smooth out any last-minute formulation issues. 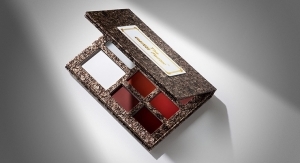 According to the company’s Barbara Silverman, business development and sales and marketing, Lady Burd’s lipstick components and compacts for both powder and eye shadows offer the most flexibility for customers in search of a quick, quality solution. “Since they are stock items, there are no minimums which makes this cost-effective to the customer,” Silverman says. Lady Burd’s Shiny Silver line features AS+ABS caps, inserts and bases. The Silver compact holds a 59mm pan that can be filled with products such as setting powders, bronzers and highlighters. 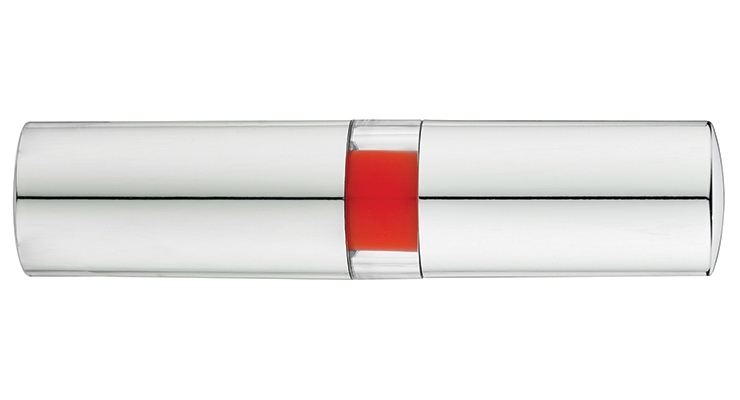 The Silver Color View Lip Component holds 4g of product and its ABS/POM/AS construction gives consumers a sneak peek of the color shade through the closed tube. East Hill Industries recently put its quick-to-market expertise into action for Botanic Tree, a company dedicated to creating and marketing results-oriented organic products. East Hill’s James says the brand’s line was launched in East Hill’s in-stock tube, a range that includes 1-, 4- and 6-oz. 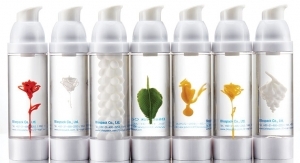 airless pump tubes. 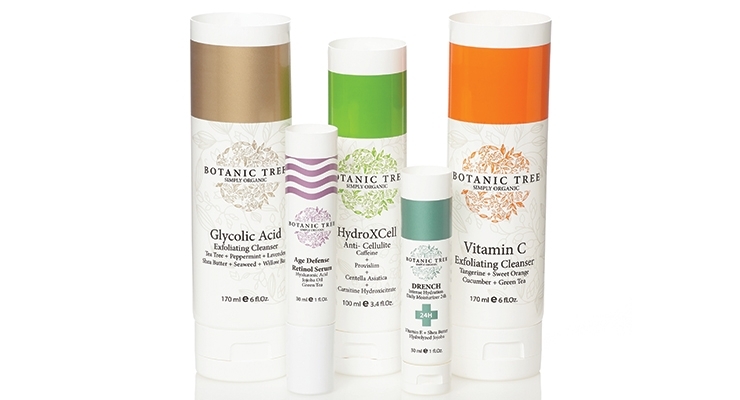 “Botanic Tree wants to make sure that its products do not cause any damage to nature. The tubes are 100% recyclable PE material, with PP flip-top caps,” he explains. 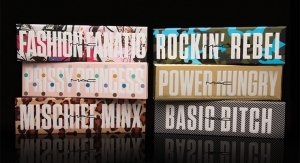 MAC Cosmetics is renowned for pushing the trend envelope with core and limited-edition collections that have made the color cosmetics firm a beauty leader. 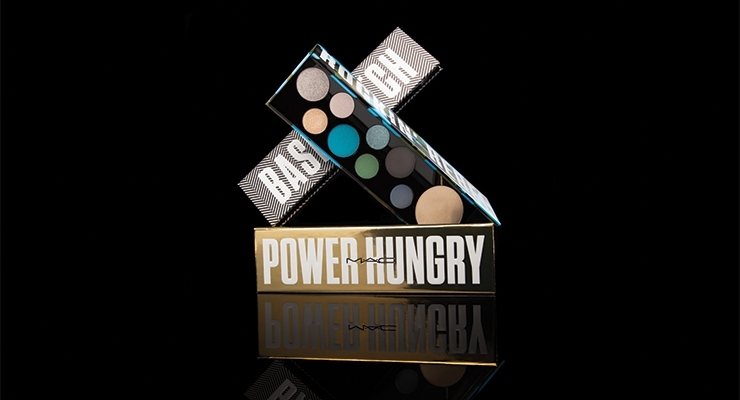 In 2017, Estée Lauder recognized Los Angeles, CA-based HCT Group with its Supplier Excellence Award in the category of “Agility” for HCT’s exemplary work on the company’s MAC Personality Palettes, a limited range of palettes consisting of eight eyeshadows and one highlighter that correspond to user profiles such as Fashion Fanatic, Mischief Minx, Power Hungry and Prissy Princess. 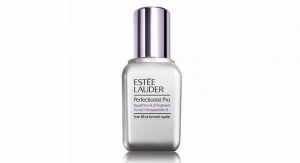 Urban Decay is another stand-out, trend-setting beauty brand with a cult following. 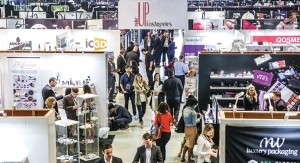 When the company sought to roll out a new four-SKU Rehab Makeup Prep line, it turned to Compax, Salt Lake City, UT, with a tight deadline. 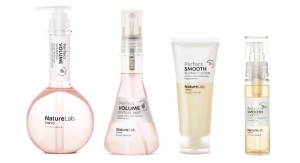 The range, which includes Pretty Gritty Skin Polish, Pore Refining Peel, Hot Springs Hydrating Gel and Oxygenated Bubble Mask, achieved a unified look with specially chosen packaging and embellishments. 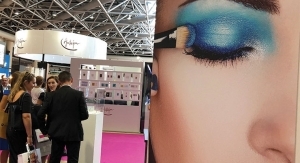 “Since we only had fewer than 16 weeks to produce and deliver all components, there was no time for the usual customization that we usually do on all Urban Decay packages,” comments Compax’s Jing Santos, regional sales manager. “There was, at least, a debossed ‘UD’ logo on the caps, but the timeline didn’t allow us to do custom color matching let alone a custom mold—so all components were produced in opaque white and all closures were molded in translucent white and we added a clear matte spray finish to add contrast and texture. However, Pretty Gritty Skin Polish, which is a powder, didn’t fit the stock option mold so Compax repurposed a stock cylinder round PET bottle outfitted with an orifice reducer and screw-on cap—the set-up is typically used for liquids, but Santos says it worked well to dispense the powder without the mess. Rounding out the line, Pore Refining Peel is packaged in a stock 22mm round tube, Hydrating Gel utilizes a stock PET Jar, and the Bubble Mask is housed in a stock airless jar.